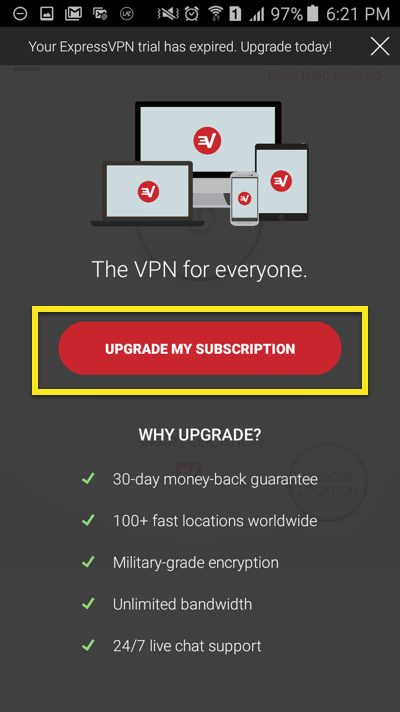 If your ExpressVPN account is expiring soon, you can renew your subscription to continue enjoying the internet securely and privately. 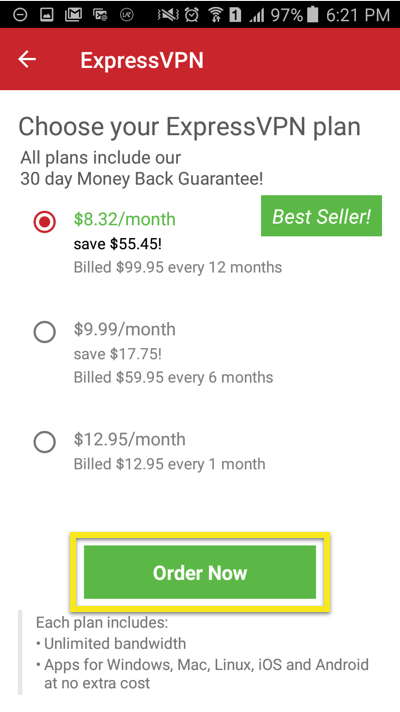 Select a plan and payment method. To renew via Paymentwall, select the third radio button. Click “Order Now.” You’ll see a please-wait page and then get redirected to Paymentwall. 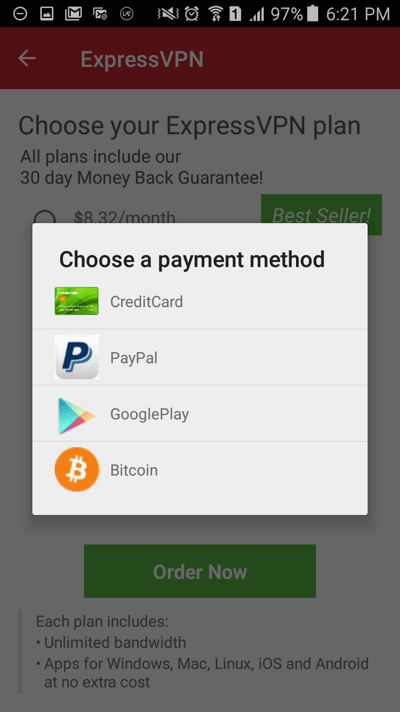 If you purchased your account via Bitcoin, simply wait for your account to expire before purchasing a new account while logged off from your ExpressVPN account. You can use the same email address when purchasing a new account here. If you would like to purchase more than one account using Bitcoin, please sign up with a separate email address for each account. 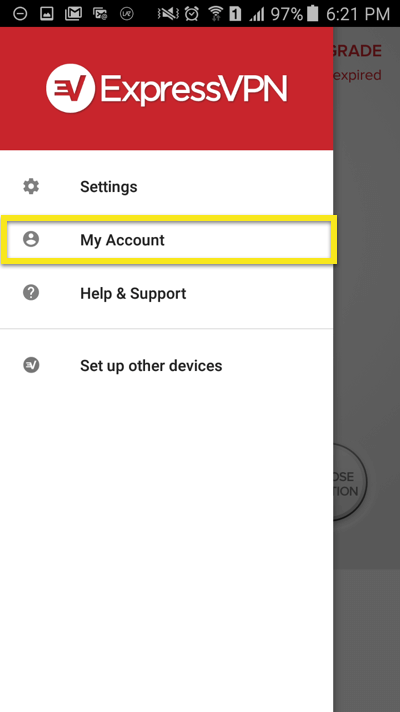 Important: This functionality is not available in the current version of the ExpressVPN app for Android. 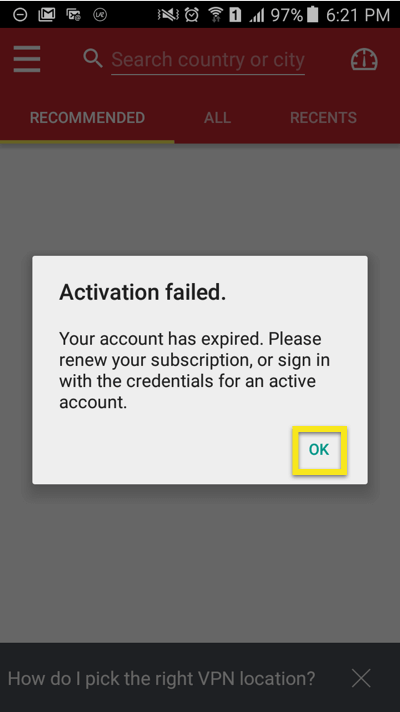 You will see an error message saying “Activation failed”. Tap OK. Choose the ExpressVPN plan you prefer. Tap on Order Now. Choose your preferred payment method from the list and complete all the required details.